Amaranth contains lot of anti oxidants. 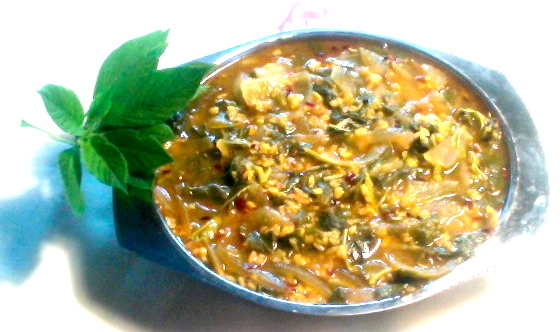 Here is my simple curry recipe of Amaranth leaves with ginger. The little pieces of ginger after frying in oil give a nice taste for this curry. This is another way of using ginger in your daily cooking. Separate the Amaranth leaves from stems. Wash them thoroughly. Dip and shake the Amaranth leaves and stems so that if there is any dirt that will go down. Then chop the stems finely. Leaves can be cut roughly. Chop cilantro and ginger finely and keep them separately. Take 2 table spoons of oil or ghee in a skillet which is on medium heat. 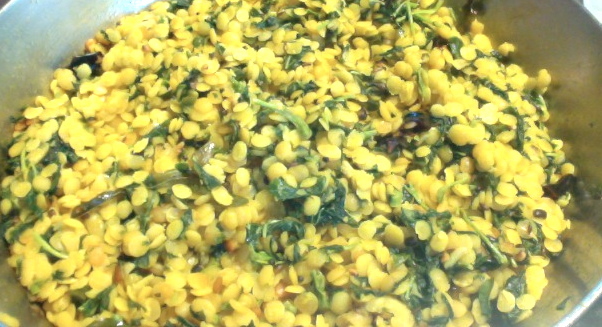 When the oil is hot add chana dal, urad dal, fenugreek seeds, mustard seeds and cumin seeds. Keep stirring. When the mustard seeds are spluttering, add red chili by cutting into small pieces. Add hing/asafoetida also. 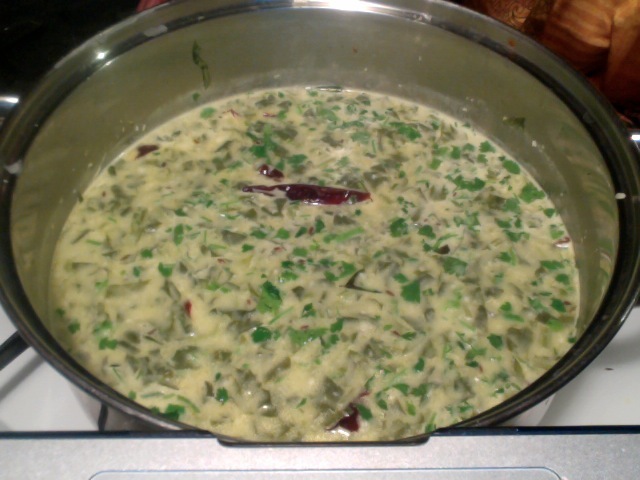 Then add curry leaves and chopped ginger. Fry ginger slightly for a minute. You will notice a nice aroma. Add Amaranth stems and leaves and stir. Add salt and turmeric and stir it again. Cover it and cook on low medium heat for a few minutes until the stems are also get soft. Then add coriander cumin powder and red chili powder and stir it well. Again cover and cook for just a minute. Add 1/2 a tsp of ghee for extra flavor. Turn off the stove. 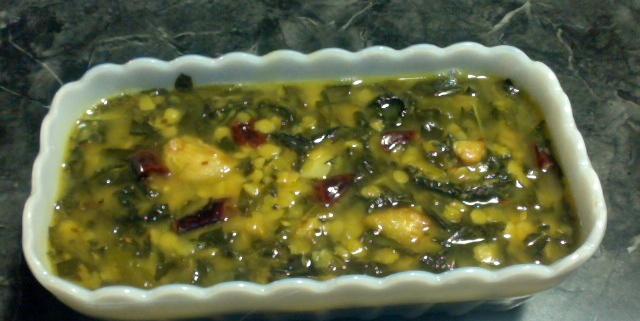 Add cilantro/coriander leaves and you may also add a tsp of lemon juice if you want. Give a stir and your Amaranth curry with ginger is ready. Serve it with chapati or rice. Enjoy and don't forget to give me your feed back.